As the paint from my ceiling starts to bubble and the drywall cracking from the rain collecting on my roof (a problem that soon will be fixed when the rain stops!) 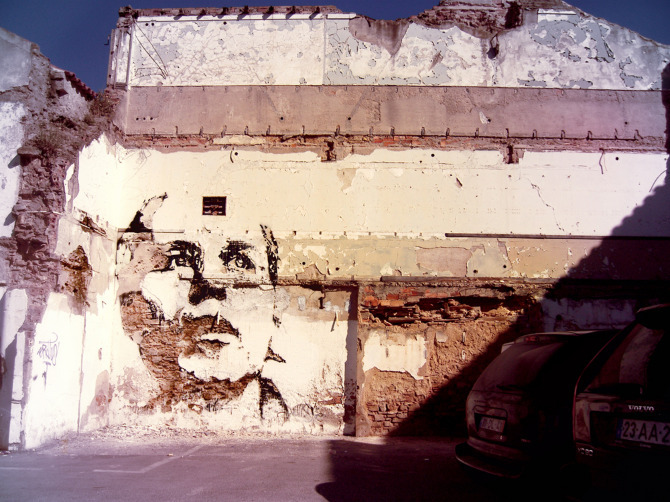 I am reminded of the work from street artist Alexandre Farto (aka Vhils) and his portraits carved from decayed layers of brick and mortar. 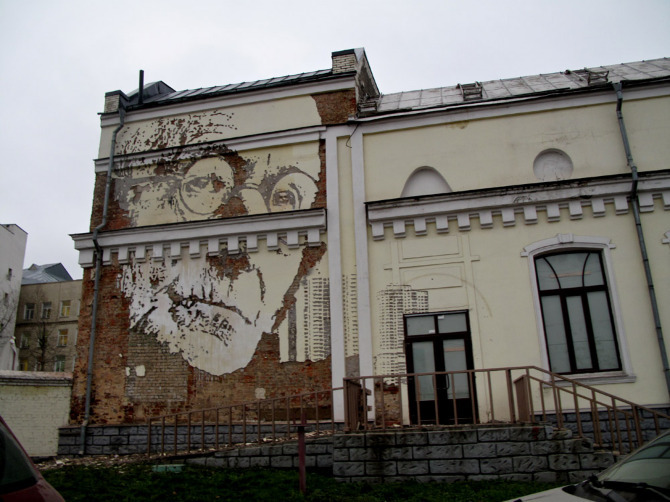 Hailing from Lisbon, Vihls tears away layers of material to create complex bas relief sculptures. Vilhs explains “With my work, I try to delve into the several layers that compose the edifice of history, to take the shadows cast by this model of uniform development to try and understand what lies behind it” (Telegraph).